At some point, with every family we serve, the cost of college comes up. We cannot help but gasp (often audibly!) at the cost of college today. And, it’s only going up. What’s a family to do?! 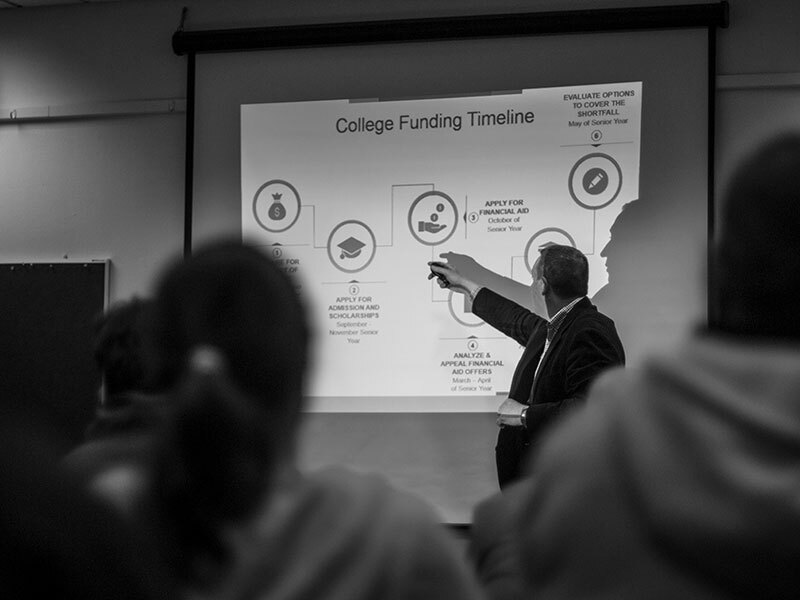 We partnered with Joe Messinger, CERTIFIED FINANCIAL PLANNER™, of Capstone Wealth Partners to bring you an informative overview (and lots of details too) of college financing — there’s something for everyone. Joe is a great resource, and like our Tips program, we encourage interaction and questions. If you can’t watch the webinar live, register and receive a copy to watch at your convenience. Where can we get into college? Where can we get the most financial aid and scholarship money? What strategies are available to me if I make too much money to qualify for financial aid? What colleges can we afford based on our personal resources? Joe Messinger, CFP®, is passionate about empowering families to be informed consumers of higher education so they don’t pay a penny more for college than they should. He works with families to help demystify the college funding process and is widely recognized as an expert in college planning and funding.